The beta version of Google Maps has another Thursday special for you, with a mix of features that ease sharing directions and telling Maps how you plan to get to your destination. The feature, which was definitely new to me, is called Plus Codes. It’s a method developed by Google’s Zurich office that is designed to be more user-friendly than identifying a location by Latitude and Longitude. Why this matters: Google Maps drops in a lot of interesting new tidbits all the time with the beta version of its mapping application. So sign up if you want to try out the latest mapping tricks before anybody else. Plus Codes may appear the next time you drop a pin on the map. You can then copy the code and paste it into the map or a message to share with another. The first four characters are grayed out, because those correspond to a general region and might not be necessary if you’re sending them to someone who is Plus Code savvy. It’s a pretty neat system, but Google will need to do some education to make this mainstream. On the navigation front, Maps will now announce you’ve reached your destination with a “You made it to…” notice. There’s also a “walk the rest of the way” button, which might help for those times you had to park a mile away from that restaurant you’re going to try out and want the navigation to just be quiet. Google will also offer to tweak your route based on past performance. 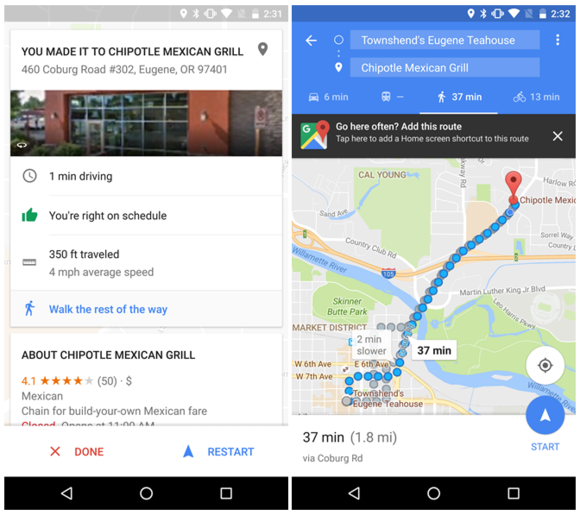 Google Maps may soon get smarter about more specifics of your route. In an APK teardown, Android Police found some more features that might be coming to Maps down the road. 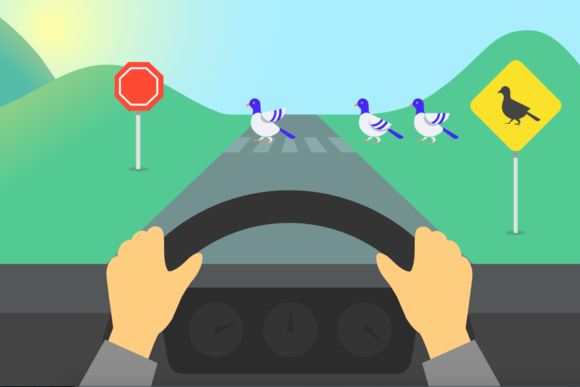 Speed limits signs may finally tell you how fast you can go, which might not be as useful while driving since you shouldn’t be looking at your phone (we’re here to help), but it would definitely be nice to have in Android Auto. Other possible updates floating around in the code are a capability to order food (yum), new features specifically for Local Guides, and just maybe some type of integration withPokemon Go. The evidence for that is particularly slim as it boils down to a single Pokeball icon, but maybe you’ll be able to ask Google one day if there are any Pokemon hanging out at the cafe.